Working hard to get the best results. Michael is a civil litigator that works hard for his clients to get the best results. He approaches problems from his client’s perspective. 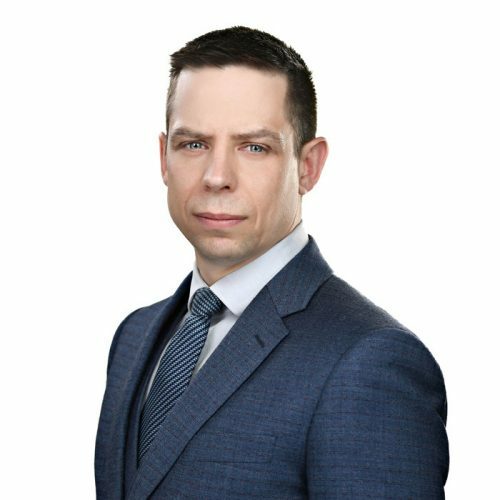 Before joining LMR, Michael spent several years working for a large insurance defence law firm in personal injury matters and knows how insurance companies work. Michael also has experience practicing in commercial litigation, bankruptcy and employment law. Michael is a member of the County of Carleton Law Association, Canadian Bar Association and Advocacy Club. Michael was an executive of the Young Lawyers Division of the Ontario Bar Association. Hockey is one of Michael’s passions. He is a coach of his son’s hockey team and plays in a men’s league throughout the year. He also hopes to the see the Maple Leafs win the Stanley Cup in his lifetime. Michael is the proud father of two young competitive gymnasts.